Choose Your Font Century Schoolbook ALL CAPS Comic Cooperplate Gothic Light Curlz Elegance Feltpoint Kristen Mural Script Russ Times No Thanks! 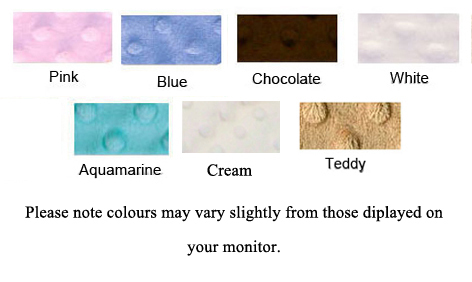 Choose Your Thread Colour White Bubblegum Hot Pink Lilac Purple Mint Green Sage Green Black Chocolate Orange Red Baby Pink Baby Blue Denim Blue Royal Blue Navy Blue Aqua Baby Yellow No Thanks! Our Signature Robe Collections are not only durable, long lasting and fabulous; they are chic, luxurious, soft and cuddly. Our Robes are great for lounging around, drying yourself off after a nice bath or even after a swim. These Collections are designed for your Little Ones and for adults to. They come with Dimple Velour on the outside and white velour on the inside. 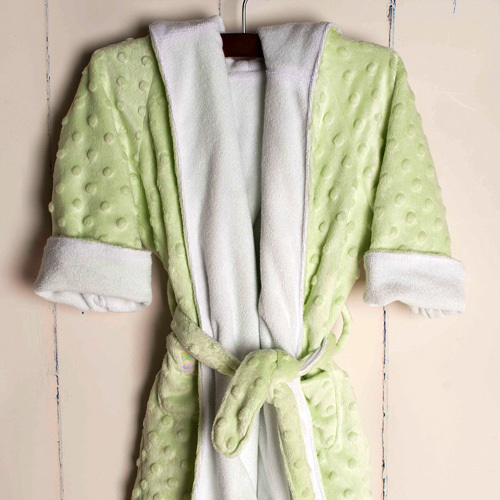 Our Dimple Dot Velour Robes are one of our Best Sellers,they are Canadian Made, and they start at $45. 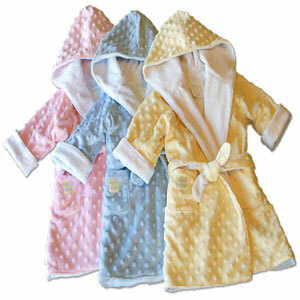 Each robe is handmade, incredibly durable, and sure to keep any child cozy and warm. All robes are hooded. These robes are beautiful, fast drying and absorbent; they will last anyone a long time as they are made to fit but with room to grow! 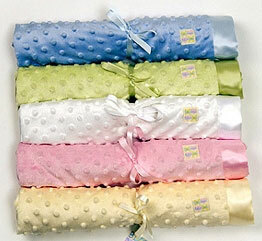 Why not make this a set and add one of our minky super soft blankies (30" x 30"), or blankets (30" x 40"). Just like the robes, these are a Best Seller! Each one is trimmed with a beautiful satin border, and they are both unbelievably soft and luxurious. 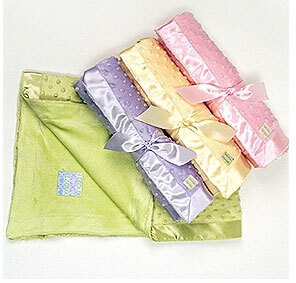 While both have an ultra soft velour fabric, the blanket is lined with chenille fabric. Should you choose to purchase the matching blankie or blanket and wish to have it embroidered, please select to purchase it in the 'Minky Collections' located in the blanket category, as the embroidery option in this selection is strictly for your robe purchase. These robes are amazing. Soft and well made. The embroidery is beautiful. The service from Signature Little Ones is personal and professional. I highly recommend the product and the company! Excellent service, great quality robe (well worth the money) and shippin. Fast! Thanks so much! Absolutely love this...would recommend it to anyone. This robe is absolutely beautiful! It is soft and comfy for baby to wear and looks adorable on. The custom embroidery is the special touch that makes it stand out from any other store bought robe. What a great unique gift idea! Thank you.